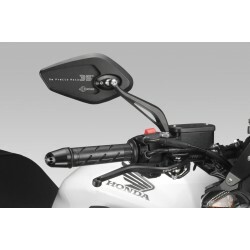 Levers (x2) for CB650F, CBR650F, CB650R Neo Sports Cafe and CBR650R. By DPM in aluminum cut in the mass for a better resistance. 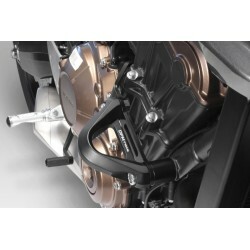 Kit of engine protection pads (left/right) by DPM for your CB650F and CB650R Neo Sports Cafe. 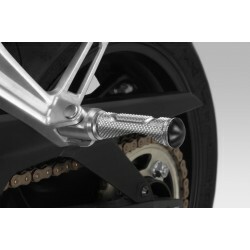 Made of aluminum and FE360 steel, these parts attach to two points on the bike and protect the engine and surrounding parts in the event of a fall. The perfect compromise between protection and design! 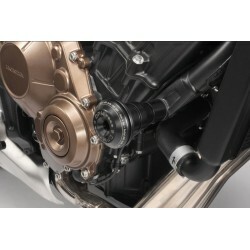 DPM engine sliders in aluminum and nylon for CB650F and CB650R Neo Sports Cafe, positioned in the first line to limit the damage in case of fall of the motorcycle. Mirrors "Revenge" by DPM for your Honda CB650F and CB650R Neo Sports Cafe. Italian design with high-end aluminum construction. Simple and fast assembly without modification of the bike. 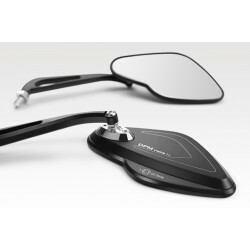 Mirrors "Police" by DPM for your Honda CB650F and CB650R Neo Sports Cafe. Italian design with high-end aluminum construction. Two designs to choose from, with no change in features or price. Simple and fast assembly without modification of the bike. 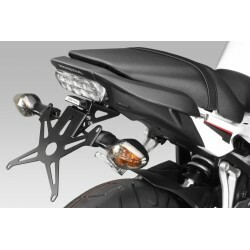 DPM license plate holder for CB650R Neo Sports Cafe. 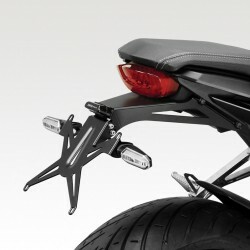 High-end laser cut aluminum product supplied with plate lighting and bracket for the original turn signals of the motorcycle. Optional (see accessories) : support for the reflector. 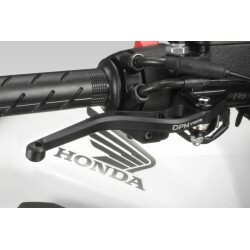 DPM license plate holder for CB650F and CBR650F. Laser cut aluminum product with a very nice finish. Location retained for original turn signals and plate lighting included. 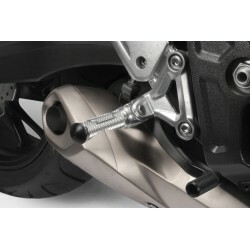 DPM aluminum footpegs for CB650F, CBR650F, CB650R Neo Sports Cafe et CBR650R. New design and sport grip.